Oh we do like to be beside the seaside! Well, who doesn’t? Especially when you can get there from London in an hour and dive into great activities, attractions, restaurants, shopping and nightlife. 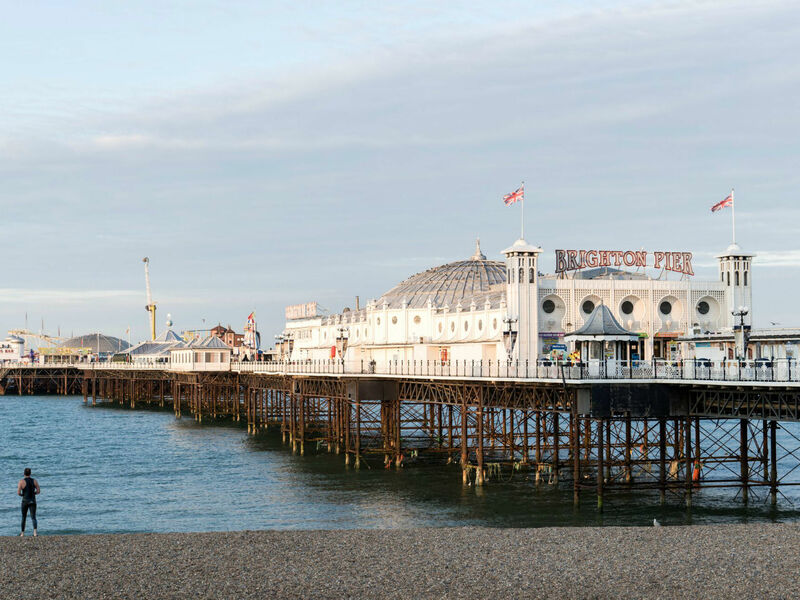 Brighton’s delightfully kitsch pier is often the first port of call for visitors, but this beachside city has loads more to offer. 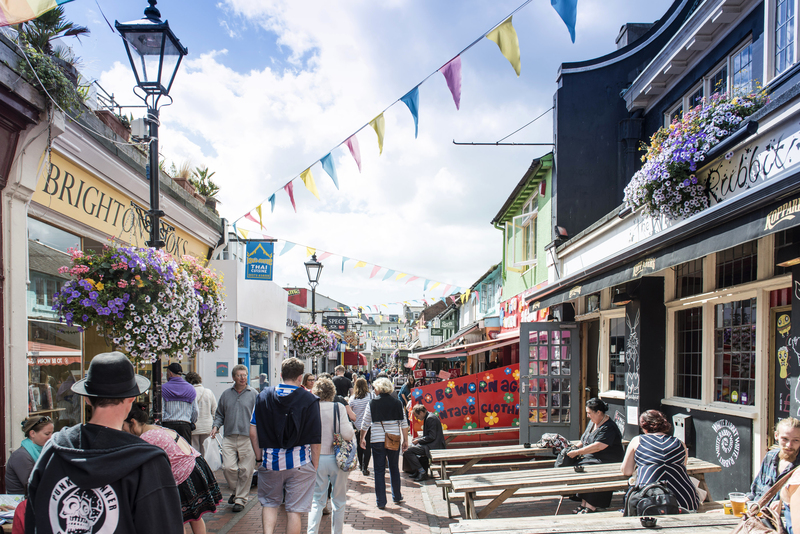 For a bevy of unique boutiques, cafés and music shops, head down The Lanes. 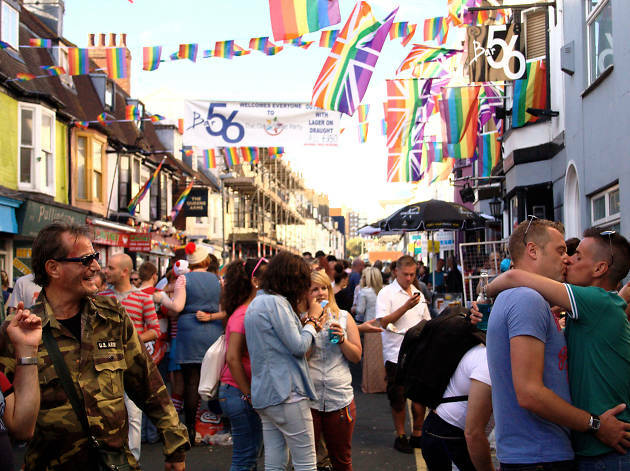 Brighton’s vibrant LGBTQ party scene is known the world over. 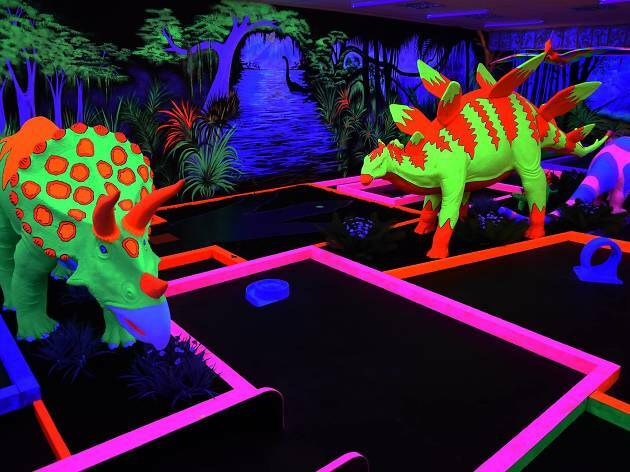 And there’s even a dayglo, dinosaur-themed crazy-golf course to be conquered. So what are you waiting for? 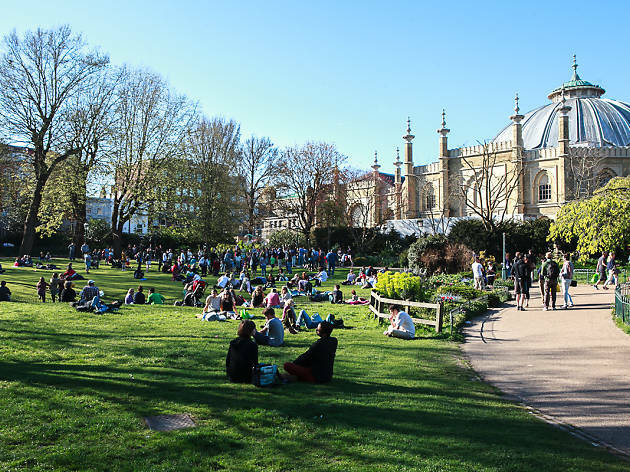 Have a gander at our round-up of the best things to do in Brighton and start ticking them off your list. Brighton Palace Pier is a tough old bird. 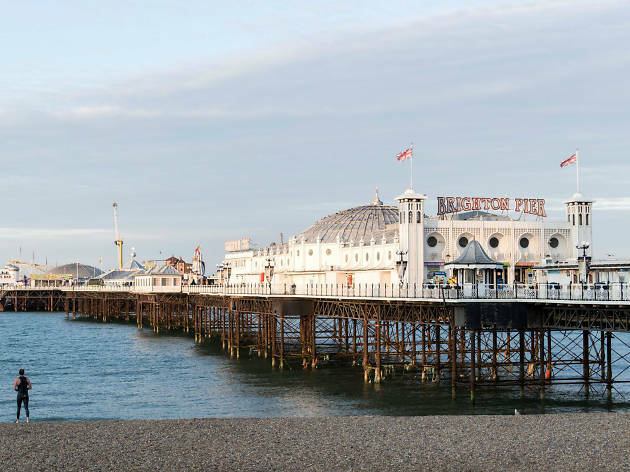 Having stood for well over a century now, the Grade II-listed pier has survived two world wars, a battering by storms (one of which almost destroyed it before it opened in 1899) and millions of visitors every year. Join the masses in a pilgrimage to the aracde games, fairground rides and chippy vans. Much of Brighton oozes character and cool, but The Lanes are definitely leading the charge. These narrow streets are brimming with brilliant independent cafes, record shops, vintage emporiums, book stores and artwork – all housed in pretty sixteenth-century buildings. Wandering this maze of passageways is a great way to spend an afternoon. 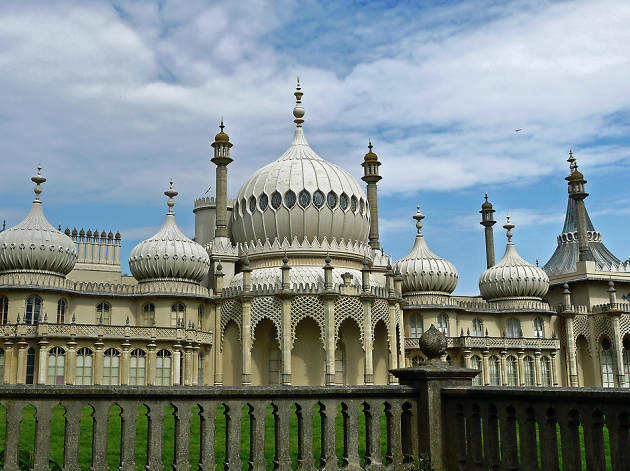 Despite looking like it should be perched on the banks of the Yamuna in India, the Royal Pavilion is a landmark in Brighton. The ornate, Grade I-listed structure was designed by John Nash in the early nineteenth century, based on Indo-Saracenic Revival architecture. It was once a holiday home for George, Prince of Wales (later George IV), but today is frequented by visitors wishing to get a glimpse inside replica rooms, the art gallery and impressive grounds housed within. 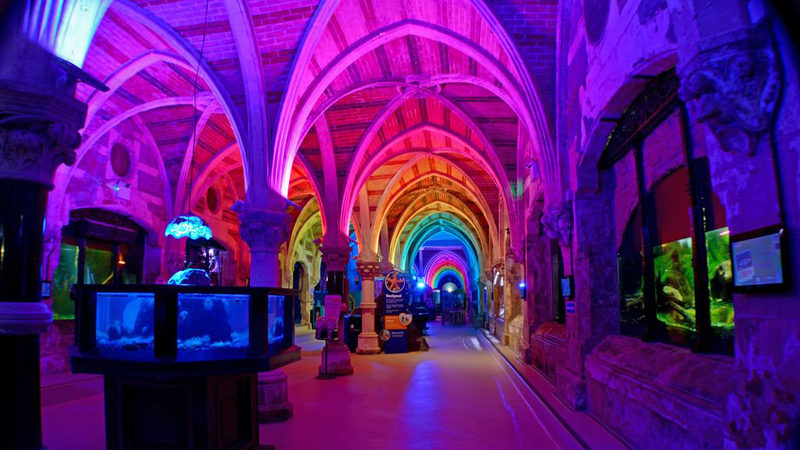 The Sea Life centre in Brighton is in the world’s oldest operating aquarium. 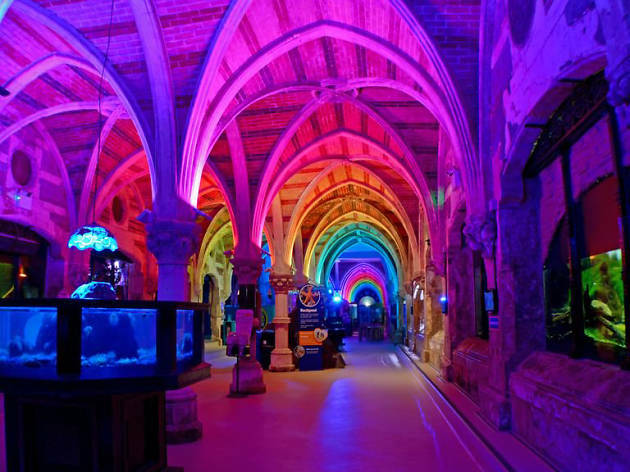 It was built in 1872 and as you enter you can see the stunning, original Victorian architecture – great Gothic arches reach up above the fresh- and saltwater swimmers. Continue your journey to see the impressive Lagoon populated with beautiful rays, the big fish displays and an interactive rock pool where you can touch a starfish or sea anemone. And you’ve always wanted to do that, right? 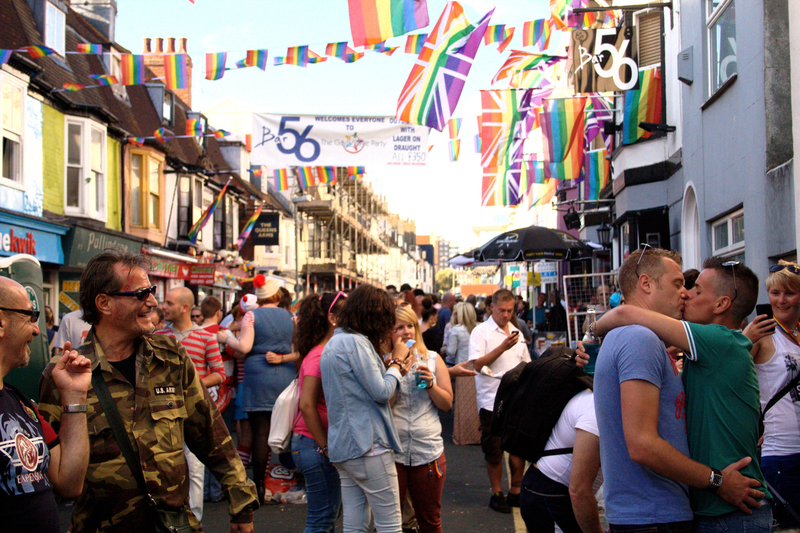 Rainbow flags fly proudly in Brighton, arguably the LGBTQ capital of the UK. 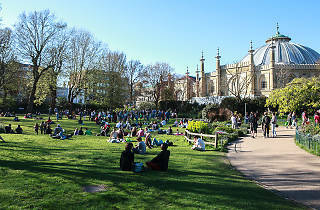 If you’ve ever wondered how Brighton became the town it is today, a walking tour from a local expert is a pretty good place to start. Walks take you through 200 years of history to chart the progress from bravery and achievement in very different times to the more progressive attitudes of today. 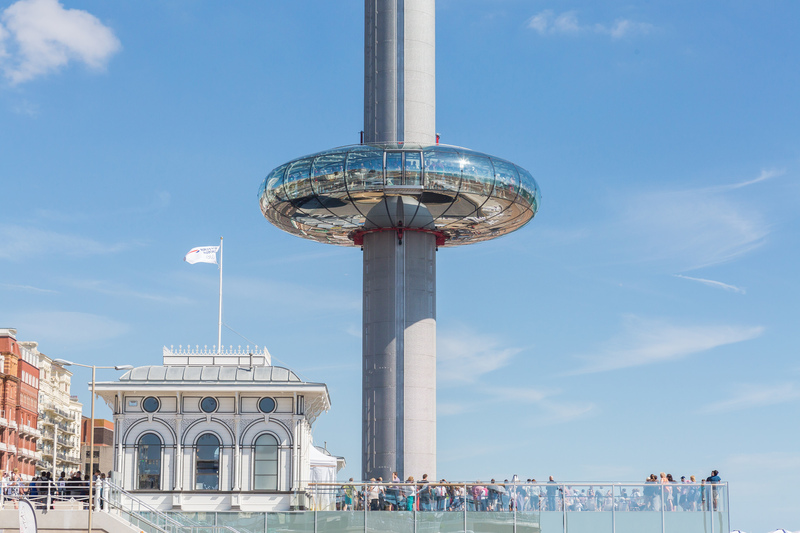 Plus you’ll get to see some of Brighton’s best sights, from the grandeur of the seafront, through The Lanes, to the ‘gay village’ of Kemptown. 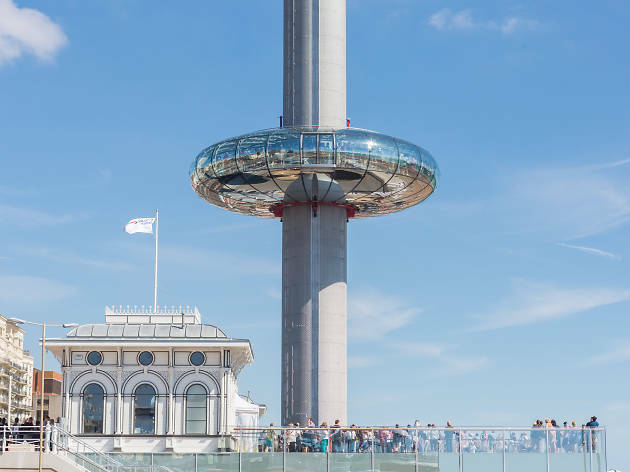 Sure, some might see it as a bit of an eyesore, sticking out like a tent pole on the seafront, but the views from this 531-foot-high observation tower are pretty impressive. 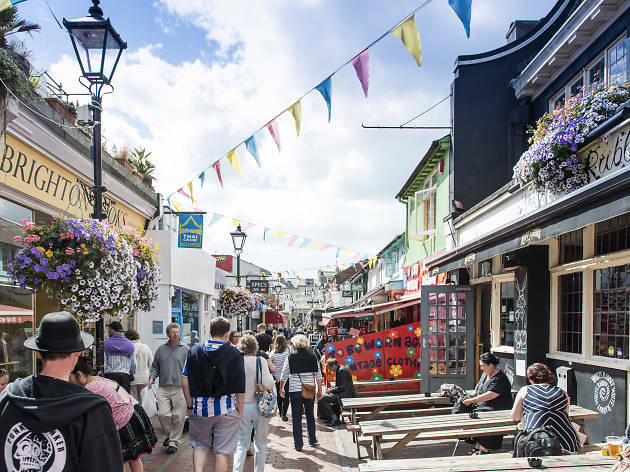 You get to gawp at pretty much all of Brighton, out across the South Downs and over the Channel – including, if you’re lucky, the Isle of Wight. Plus, you can pair your tickets with afternoon tea, should you wish to be terribly sophisticated (or in desperate need of cake). 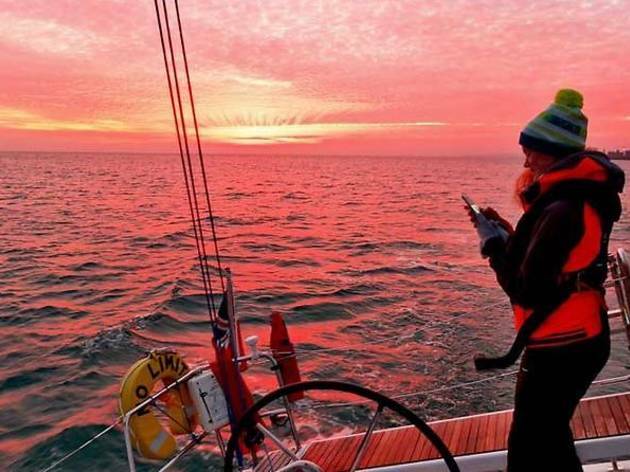 Talking of sophisticated, how about setting sail on the open seas off the coast of Brighton as the sun sets? You’ll be with a qualified RYA (Royal Yachting Association) instructor, so you can relax with a glass of bubbly and take as many cheesy photos as you like. If you’re feeling brave, your knowledgeable sailor will show you the ropes and let you take the helm of the yacht as part of the two-hour trip. Plus, if it’s warm enough, you’ll be allowed to take a dip, so pack swimwear. 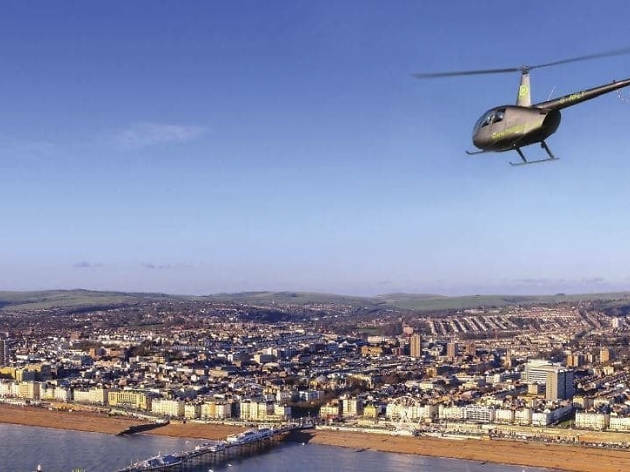 Celebrating this seaside town’s reputation for ‘kiss me quick’ hats, saucy postcards and wicked weekends away, the Brighton Quickie helicopter ride offers a personalised 20-minute flight over Brighton and Hove. The tour can be booked for any day of the week and your party (a maximum of three) will have sole use of the chopper. Well, there is a pilot, but they should be fairly busy. This seafront exhibition centre and performance venue may not be much of a looker (unless you’re a fan of brutalist architecture) but it’s the place to go in Brighton if you’re looking for big-name comedy, music and theatre. Many of the UK’s larger tours head here, presumably undeterred by the venue’s history of hosting final acts: both Bing Crosby and The Jam performed their last concerts here. Because who doesn’t enjoy a hit of childhood nostalgia? 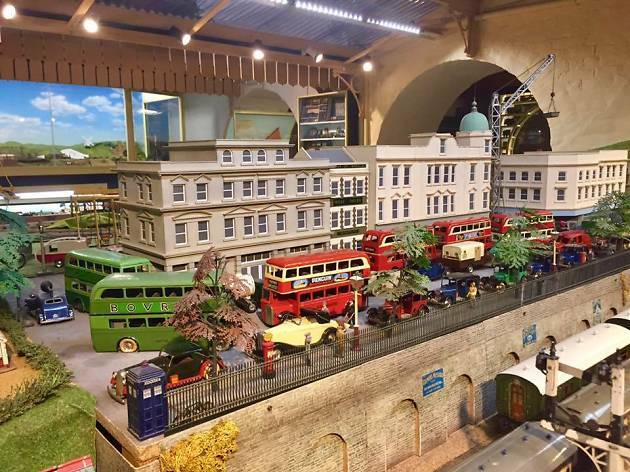 This wonderfully kitsch homage to the last 100 years of toys and models displays more than 10,000 items – everything from Dinky cars and Meccano kits to vintage penny arcade games, puppet theatres and one of the country’s best collections of model railways, including a 1930s three-rail O-gauge layout (which is apparently pretty rare). A golfing venture like no other (because who doesn't enjoy glow in the dark stuff?) globalls is Brighton's premier spot for a bit of fluorescent sporting (kind-of) fun. 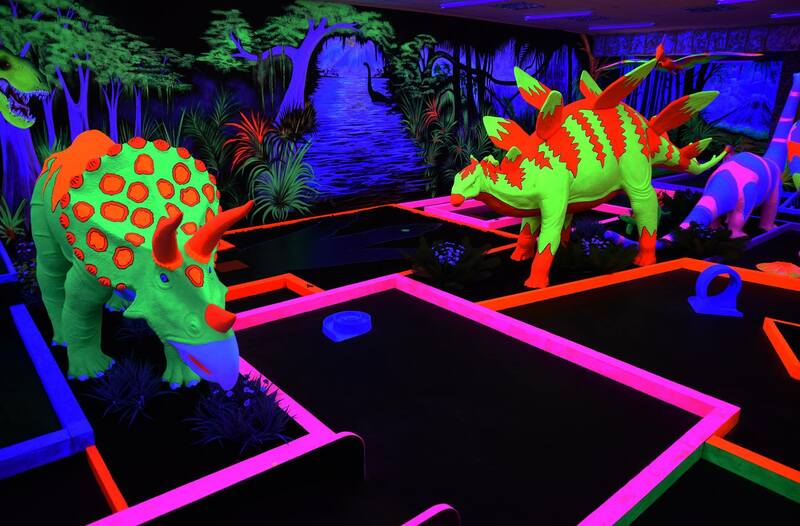 There are two colourful courses to pick from, Jurassic Glo Golf and Tropical Glo Golf and you can even challenge other golfers at the Globalls Crazy Golf Masters. Heading there? Find Globalls in Brighton Marina (trust us - you can't miss it). 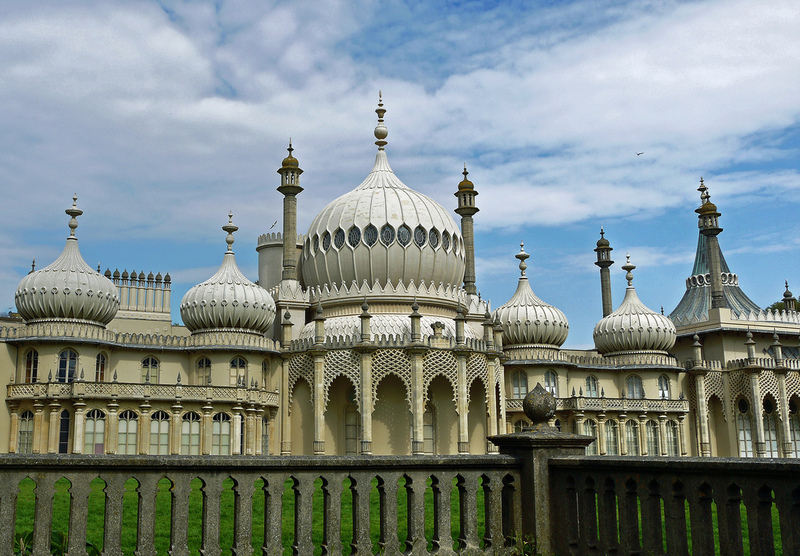 Part of the Royal Pavilion, this city-centre museum and gallery is free for locals while visitors are charged £5.20. 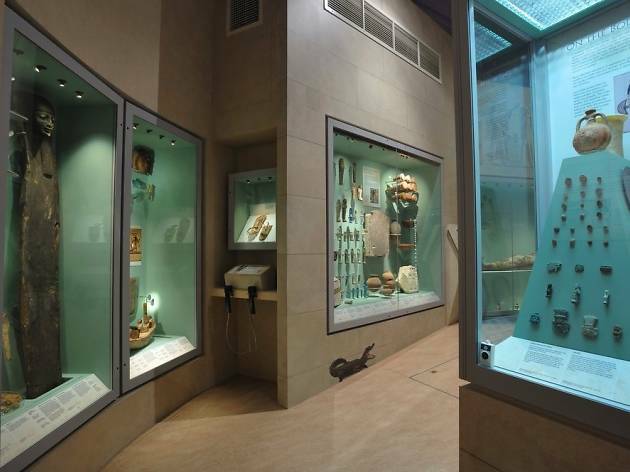 And that’s actually good value, given the treasures on show – ranging from fine art and pieces from ancient Egypt to twentieth-century design, fashion and exhibitions from contemporary artists. 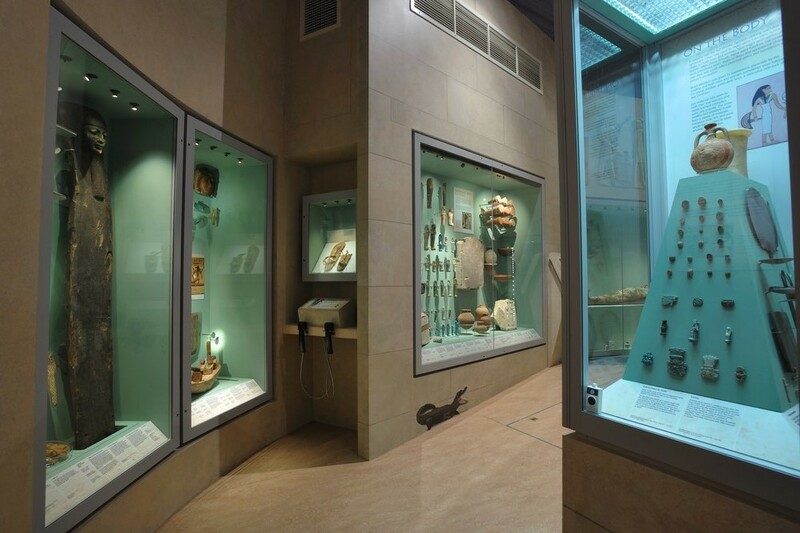 And if insects are your thing, make a beeline for the Natural Sciences collections, where you can meet half a million of the little critters. 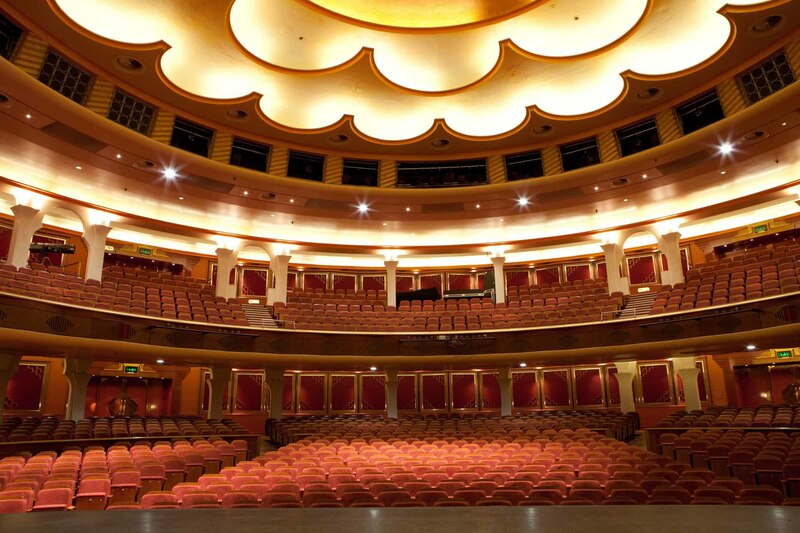 Another big performance venue, the Dome is the more cultured sibling of the Brighton Centre. 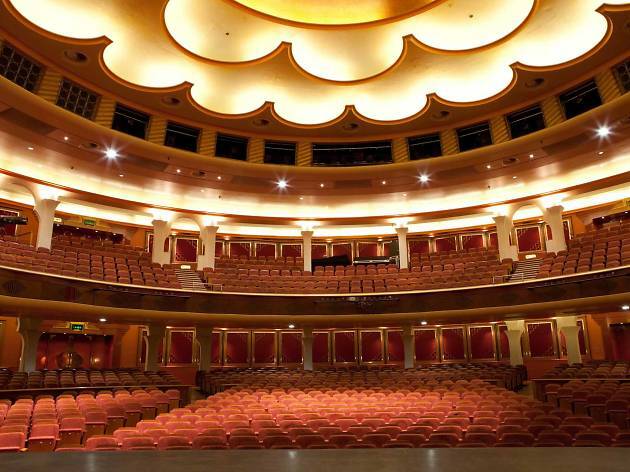 Which means a programme of classical music, dance, theatre and poetry rather than big-hitting UK music and comedy tours. 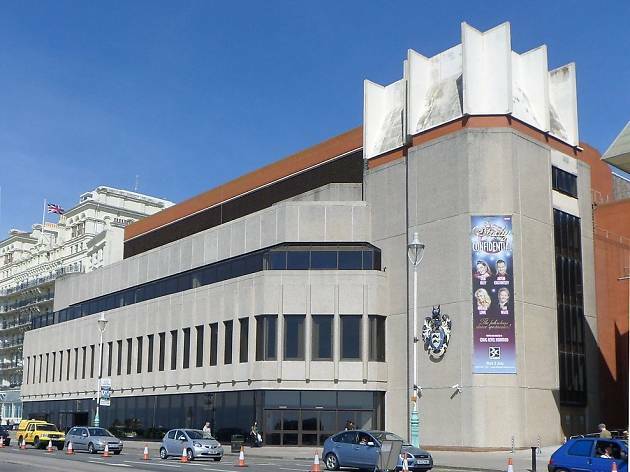 It’s actually three venues (Concert Hall, Corn Exchange, Studio Theatre) and the whole complex is connected to the Royal Pavilion by an underground tunnel, apparently built so that the overweight George IV could visit the royal stables unseen.